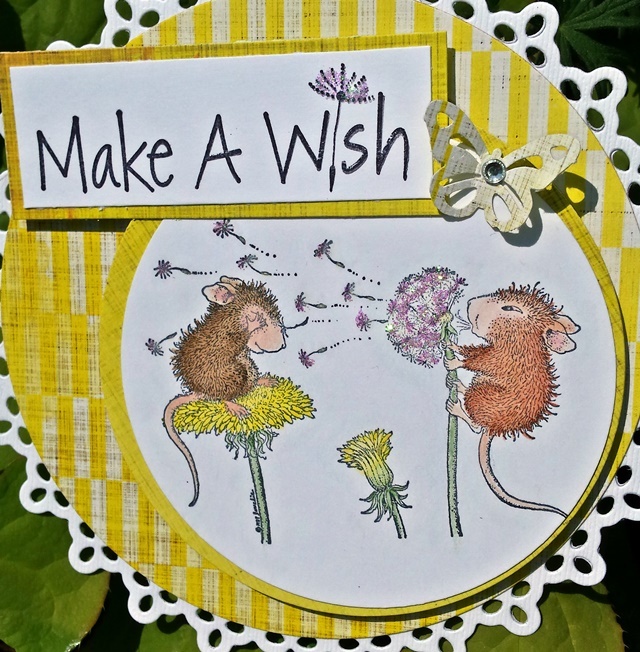 Hos Dorte: Make a Wish, a DT card for HMFMC! What a gorgeous card, love the off set image circle. Awesome job with the die fcuts. This is really sweet and I love the card shape you have used! 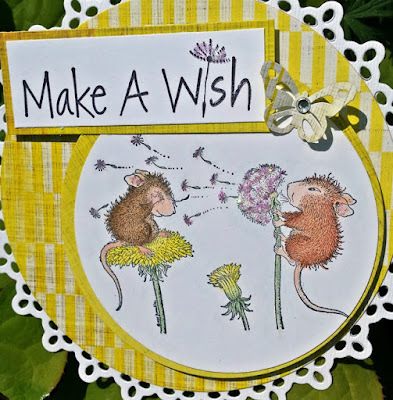 Hi Dorte awww how fresh is this color super spring mousey card, great card shape super design papers sweet take on the option theme Dies. Adorable Dorte! Time for summer! Cute image, and your round card using the dies is awesome. Love the sunny yellow paper as well. 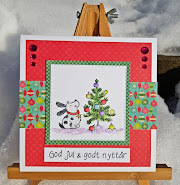 Gorgeous card Dorte! 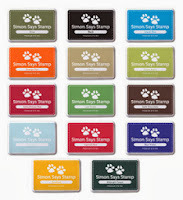 The image is adorable and love the shape and the colours you've used. Super fun and fabulous. Thanks for joining us at HLS. Great shaped card and that yellow and white paper makes your image pop! Thanks for sharing with us at Aud Sentiments and hope to see you again. 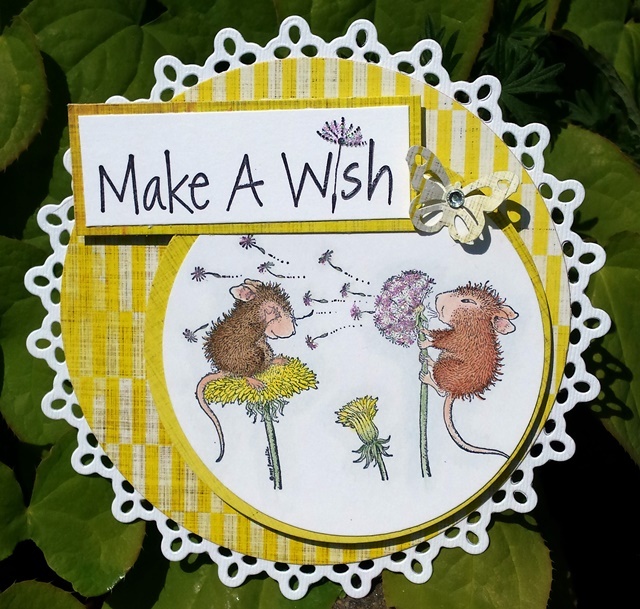 Such a sweet little card Dorte - love it! 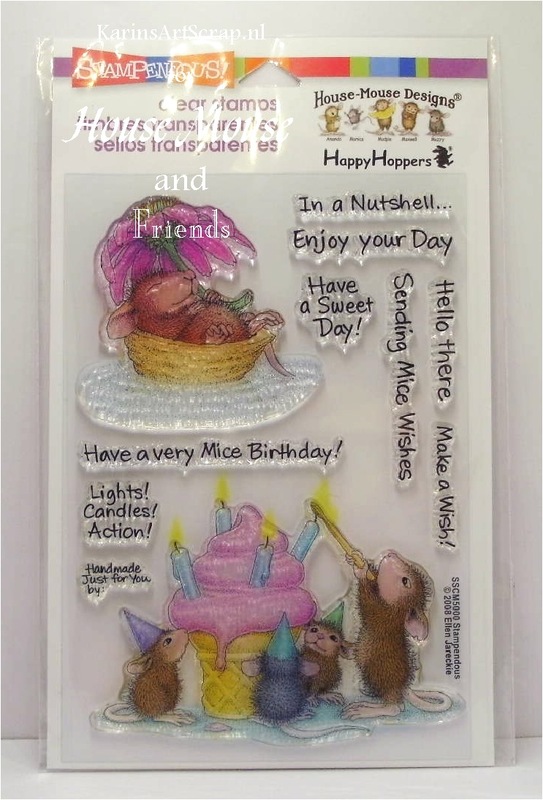 Lovely card - so cute. Thank you for sharing with us at Cutie Pie. This is completely adorable! 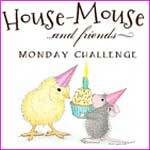 I love those little mice - so cute! Thanks for sharing with us at Scrapy Land Challenges! I hope we will see you again soon.